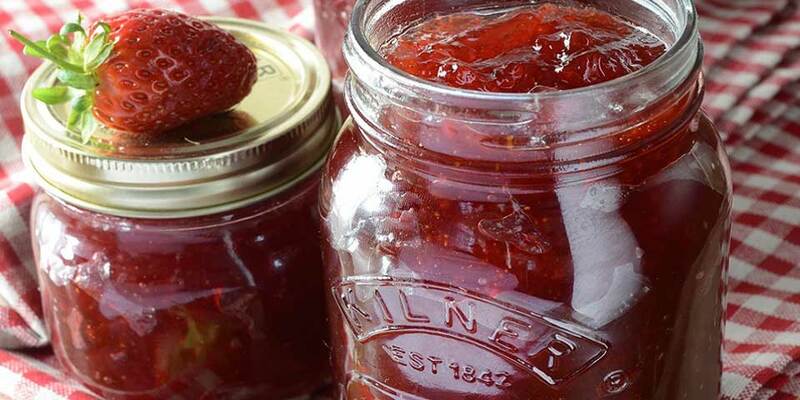 Add all of the strawberries into a Kilner® preserving pan and crush with a potato masher. Increase the heat to high and bring the mixture to a rolling boil. Continue to stir and boil until the mixture reaches 221°F. Cool slightly, transfer to hot sterile Kilner® jars, leaving about 1/2 inch headspace. Wipe threads of your jar and seal. Process your Kilner® jar using your preferred method or as advised in your recipe. Once sealed, store in a cool dry cupboard for up to 6 months.